Alright people, especially you DC fans, breath a sigh of relief. The new film Wonder Woman is actually a rollicking great movie. Most fans know by now that Warner Bros./DC Studios’ DC Extended Universe (DCEU) had very public lately starting with last year and their weak cinematic entries Batman v Superman: Dawn of Justice and Suicide Squad. Many DC fans are in a state of near revolt at how badly the film studio have handled its superhero properties with the last good entry being 2013’s Man of Steel. After the embarrassing behind-the-scenes mishaps, everyone was looking to Wonder Woman to help right the ship for the DCEU. The only problem was that many doubted this new film could do that. Well, those naysayers have been proven wrong. Wonder Woman is exactly what the DCEU and its fans need right now. Of course, it is not a perfect film. 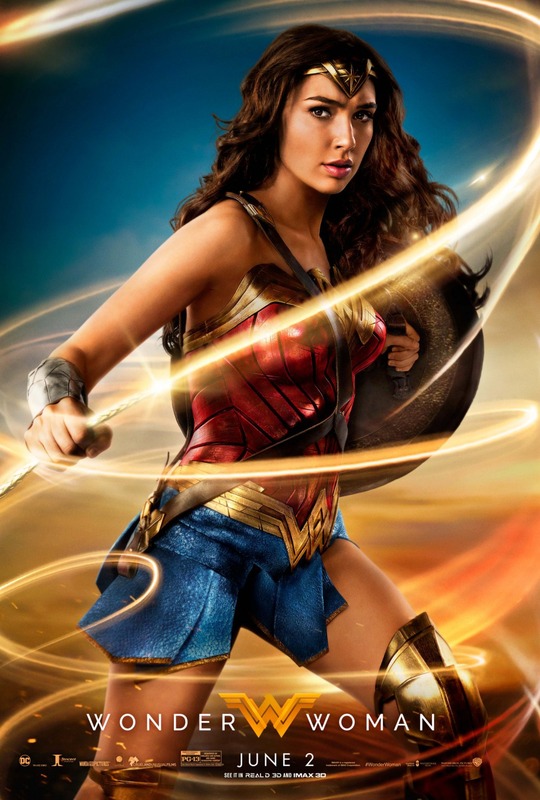 There are issues with pacing in the first half and the film overdoes the slo-mo shots, but on the whole, Wonder Woman is a fun and exciting jolt for moviegoers this summer season. Taking the best elements from Thor and Captain America: The First Avenger, Wonder Woman takes those films’ fish-out-of-water scenario and period setting to create a joyous and unique adventure. 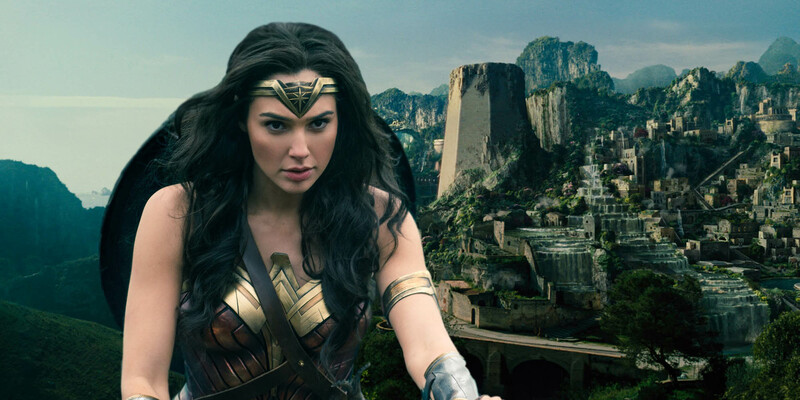 Gal Gadot plays the title character of Diana, a super-powerful Amazonian princess raised on a mythical and secluded island populated by warrior women. One day a man washes up on its shores and it’s Steve Trevor (Chris Pine), a Word War I soldier who introduces Diana to the outside world. Both characters go through the funny fish-out-of-water tropes, first with Steve on the island and later with Diana in war-torn Europe. 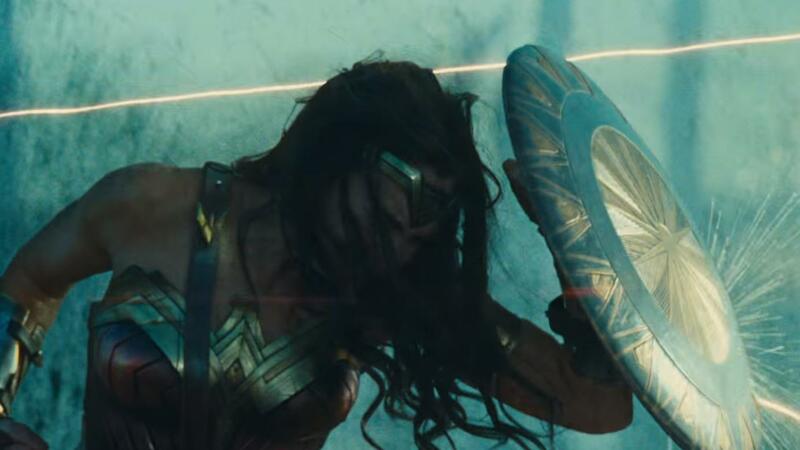 While these moments were amusing, the film kicks into high-octane and colorful action pieces midway through the film when Diana aka Wonder Woman fights in the war and never lets up. By that point, the action takes over and the film is a stunt and CG fest, but it’s not mindless. 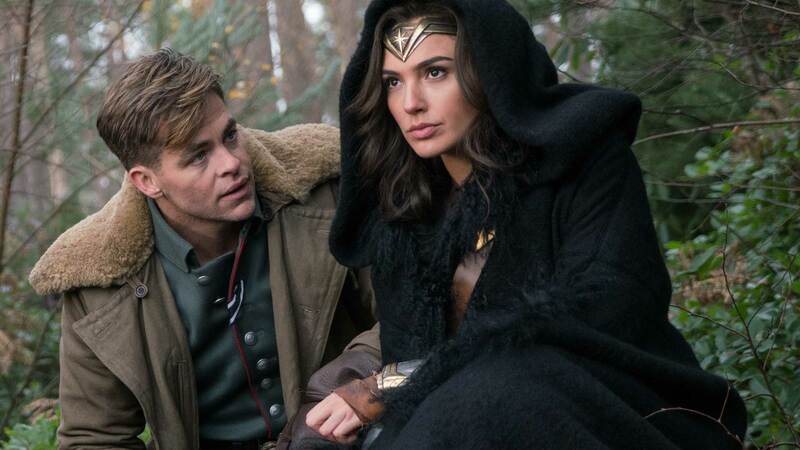 The filmmakers wisely gave us time to know the characters so that by the time Wonder Woman is racing through battlefields and taking out German soldiers audiences are fully engaged with her. Not to take away credit from the filmmakers, but Gadot deserves so much acclaim for pulling off this role. In many ways, the casting for Wonder Woman was more critical than other heroes like Batman or Superman. 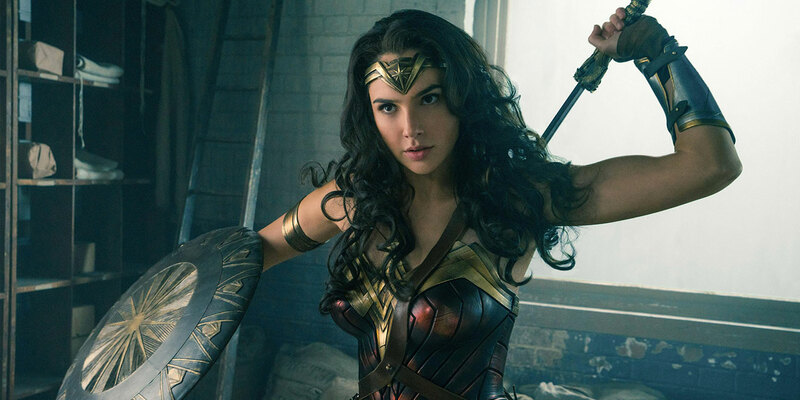 That is because in a field so crowded with male-led superhero films, the character had to grab us from the get-go and Gadot does that quite well. Now she joins the ranks of Christopher Reeve, Hugh Jackman and Robert Downey, Jr. as iconic actors believably portraying superheroes. As mentioned before, the film has its issues. The villains are merely serviceable and this seems to be a common problem with recent superhero films that place so much focus on the main heroes. Zack Snyder’s influence is felt with the overuse of slo-mo shots, but the action and settings go beyond Snyder. For a DCEU film, Wonder Woman is much more colorful, vibrant and uplifting. But Snyder does deserve praise for seeing something in Gadot when he filmed Batman v Superman and she obviously was one of that film’s highlights. Warner Bros. should also be lauded for believing enough in the character to let her headline her own film. Wonder Woman could not have come at a better time for the DCEU and everyone. Director Patty Jenkins has delivered a fresh and exciting superhero film and has helped restore confidence in the DCEU. It has some ways to go, but at least the bleeding has stopped thanks to Wonder Woman. Seriously, Marvel Studios made a huge mistake in letting her walk off Thor: The Dark World. Her cinematic eye, which is so evident in Wonder Woman, would have made the Thor sequel much more memorable than the standard muscle fest it turned out to be. Do not be surprised if this film’s success will mean that Wonder Woman, the character, will rightfully take her place among the headliners in the DCEU. Great review, I really enjoyed Wonder Woman and it’s certainyl a triumph for the DCEU (Man of Steel is still my fave and I actually enjoyed BvS and Suicide Squad despite their flaws). Gadot and Pine were brilliant and the action was slick and dynamic and many of the sequences had ‘feeling’ to them rather than just being as you say, mindless. The villain issue is something that plagues most superhero films unfortuantely but I thought they were adequate enough in this film which in the end is more about the characters and the hopeful vision of WW. Thanks for the comment, Man of Steel is the best of the DCEU films though WW comes very close! Totally agree with that, glad to see there’s some appreciation for MoS out there! Great review! I thought Wonder Woman was really good as well, Gadot and Pine were fantastic, and the action scenes were very impressive. Best Dc comics film I’ve seen in a long time. The casting of both leads is one of the main reasons why the film is so good. There are other reasons of course, but this film being as good as it is couldn’t have come at a better time for the DCEU.